It's a new year and we want to tackle an old standby: the lunch salad. And we know: Lunch salads can sometimes get a reputation for being bland, boring, and/or just generally ~sad~. Salads with wilted greens, little protein, and zero textural variety are the face of hunger. But they definitely don't have to be. If you know how to build a good one, they're win/win! To power you through an entire workday, your salad should be filled with all kinds of non-leafy ingredients. When made correctly, a salad will be flavorful, bright, textured, and — most important — provide you with a sustainable source of energy. You've probably never realized it, but your favorite salads probably hit this combination. 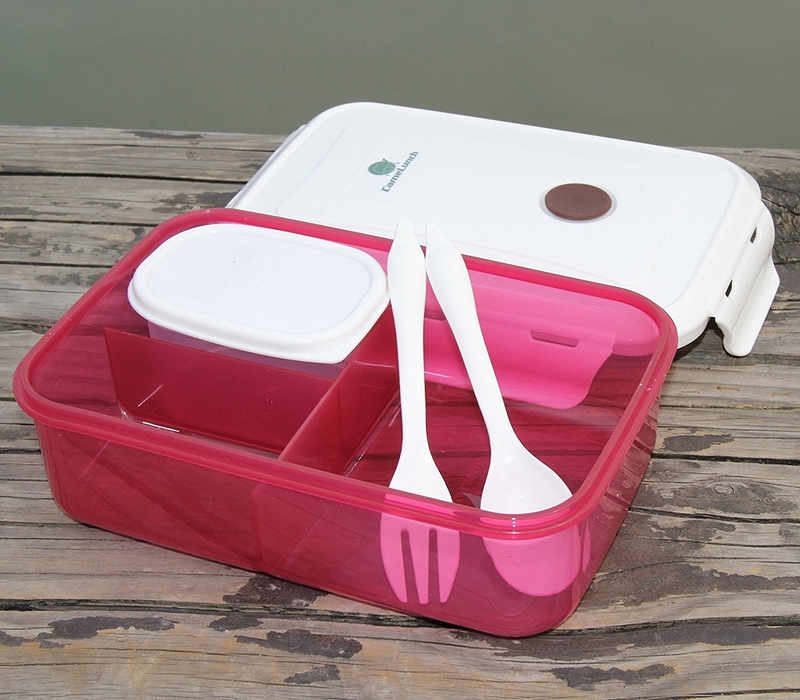 Once your salad is ready, find a well-designed lunch box to make sure it stays crisp until it's time to eat. 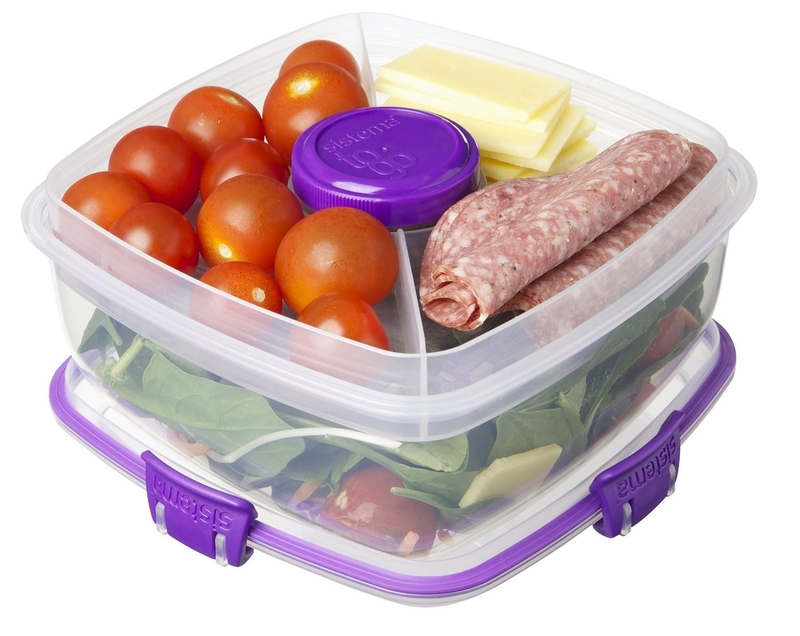 Whatever Tupperware or storage device you decide on, just make sure you have a small, separate container for your salad dressing — that's really the key to making sure you're not eating a soggy, wilted mess come lunchtime. To get you started, we asked the BuzzFeed Community for their go-to lunch salad recipes — and you can find them below. If you don't have time to grill chicken, you can always buy precooked chicken strips to save time. (Or, let them bake in the oven while you're prepping the rest of your ingredients.) For the walnuts, toss them in a pan for 5 minutes over high heat, or roast them in the oven at 350°F for 5 to 10 minutes. The finished result will make your kitchen smell amazing. Cut your bell pepper and radishes into thin, bite-size slivers, and when you've combined all the ingredients, toss it with a savory miso dressing. We love this DIY version, but store-bought definitely works too. This creamy dressing can be made by blending avocado + olive oil + white wine vinegar + lemon juice + salt and pepper, ingredients you probably already have on hand. Cook the ground beef the night before with a generous seasoning of salt and pepper and maybe some cumin — then spoon the cooled mixture over greens the next morning. If salsa (we used Trader Joe's chunky salsa here) doesn't seem viscous enough as salad dressing, try Caesar or another favorite. If you're vegetarian, you can replace chicken with a hard-boiled egg, a half cup of roasted chickpeas, or even seared tofu. Top it off with any sweet vinaigrette to complete the fruity flavor. Hummus already includes olive oil, but an extra drizzle of it over your salad will bring all the ingredients together. Prepare a salad — instead of a leftovers sandwich — with the remains of any winter dinner you host this year. Instead of gravy, use a creamy champagne vinagirette (like this one from Trader Joe's) to finish it off. Ah, bacon — good for any meal of the day. This salad is proof. Bake yours in the oven for an extra crispy crunch that balances out this salad's sweet and soft ingredients. Toss all the ingredients together and finish the mixture with a dollop of hummus. Drizzle olive oil over the salad and season with salt to taste. Falafel and pita chips can make this salad a bit heavier, so go lighter on the hummus and dressing if you need to. Starchy vegetables like sweet potato (or, alternatively, zucchini, parsnips, and corn) are all flavorful and healthy additions to a salad that won't leave you feeling hungry an hour after you're done eating. They're pretty easy to prep too: Simply toss them in olive oil and roast them in a pan the night before. If you've got a sweet tooth, and want a ~healthyish~ salad, try this combination of peaches and teriyaki-glazed shrimp. You can prep the shrimp the night before using this easy recipe that uses store-bought sauce. And if peaches aren't in season or readily available in your area, you can sub with slices of mango, pineapple, or even a dollop of fruit salsa.